If you would like to replace your missing teeth, your dentist in Enfield would be happy to discuss your options with you. Dental bridges are sure to be part of the conversation because they are among the quickest ways to fill in the gap and get you back to smiling with all your might. The most basic type of dental bridge, often called a traditional bridge, consists of two crowns that go over the teeth that are adjacent to the gap in your smile (abutment teeth) and an artificial tooth (or teeth) that’s suspended between them. A bridge may be made either of metal or porcelain, but many dentists and patients prefer porcelain because of its natural appearance. Implant-supported bridges. Instead of being attached to abutment teeth, these gain their support from small titanium posts beneath the gum line. These bridges tend to be the strongest and longest-lasting variety. Cantilever bridges. These are supported by teeth on only one side of the gap. They aren’t very common because they lack the strength of traditional and implant-supported bridges. Maryland bonded bridge. Metal or porcelain wings get bonded to your natural teeth and serve as support for the bridge. The type of bridge that’s best for you may depend on which teeth you’re missing, your budget, and your personal preferences. If you care well for your traditional bridge, it may last for a decade or longer. A bridge will allow you to enjoy almost any food without worry. 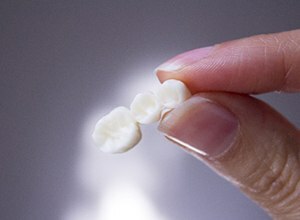 Porcelain bridges look very similar to natural teeth, making it difficult if not impossible for onlookers to tell that you’ve had some work done. Benefits for your natural teeth. When you lose teeth, the ones that remain in your mouth may drift out of place, leading to a bad bite as well as cosmetic concerns. A bridge serves as a placeholder, helping to keep your smile well-aligned. Quick installation. It may take just two appointments to your dentist to get a beautiful new traditional bridge installed. What Is the Process for Installing a Dental Bridge? Once you decide to get a traditional dental bridge, the process for installing it should be fairly straightforward. First, we’ll have to prepare your abutment teeth by removing some of their enamel; this is so the crowns have room to fit well. Then, we’ll take impressions of the area and send that information to a laboratory, which will craft your custom bridge. We’ll attach your bridge when you come back for your next appointment. Of course, if you opt for an implant-supported or bonded bridge, the process for installing it will be a bit different. We’ll be happy to walk you through the steps of your treatment before things get underway. 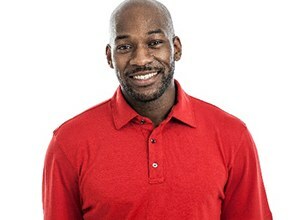 If you have more questions about dental bridges or the other restorative services we offer, please contact us so we can get the ball rolling on giving you back your smile.